I think that anyone has heard about cryptocurrency and bitcoin in the past, but I doubt that everybody knows the crazy world behind it. Everybody knows that bitcoin can be used instead of money to do online payments that cannot be traced. But when I talk to people, even if they work in the field of information technology, nobody seems to know the very basics of cryptocurrency, how it works, how much is a bitcoin, how you can buy it, what are altcoins, how you can convert them to money or to different altcoins, how new coins are introduced, the fact that bitcoin increased exponentially in the last year and that it will grow even more. Every year in informatics is characterized by huge events. Youtube was born in 2005. Facebook started the story of social networks in 2006, followed by Twitter, Instagram and Google+. But 2017 is the year of cryptocurrency. When Bitcoin was launched in 2009, the first transaction was 100 bitcoins to buy a pizza, then other coins were introduced into the system and the value of a single coin improved a lot, even though you could buy bitcoins for way less than one dollar in 2009. Just to make you understand, in this moment, 1 bitcoin is $9500. If in the past you bought 100 bitcoins for 0.30 dollars, now you would have had $950,000, about one million of dollars. Imagine when bitcoins were used mostly to make illegal transactions, mostly in the world of deep web, and imagine that those people, unlike me, knew everything about the world of bitcoins since 2009 and now they are filty rich. But jokes apart, the news that bitcoin improved exponentially is recent and it is spreading all over the world. The latest bitcoin forecasts say that bitcoin should increase even more in the future, but the predictions may diverge. 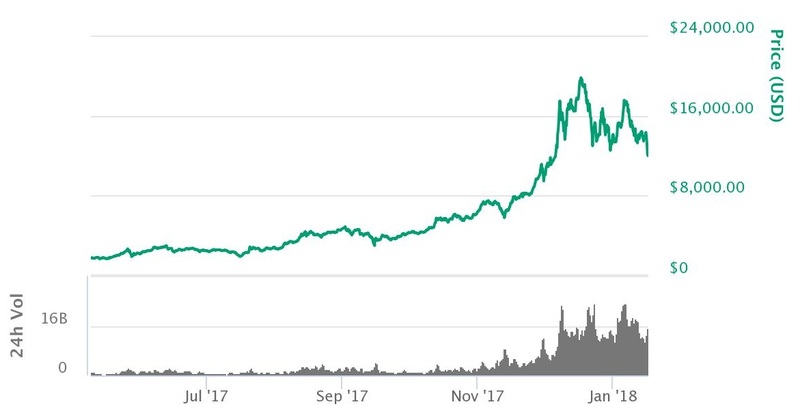 Somebody says that the bubble will explode soon while other people say that, on the base of the current trend, it should reach about $50,000 in 2020. 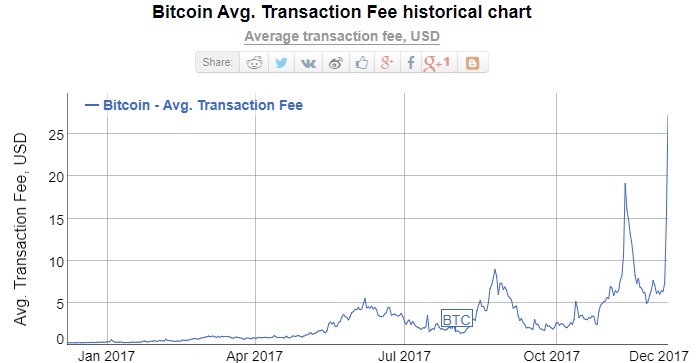 So, even if bitcoin is the heaviest coin on the market of cryptocurrency and it's reaching its maximum saturation in terms of circulating coins, it should increase even more in the future. So bitcoin and cryptocurrency in general are becoming in the understanding of people a great investment to make huge quantity of money. You don't have to do a boring job every day of your life, the only thing that you need to do is: buy $30'000 of bitcoins, wait 2-3 years, make $150'000 of bitcoins: that's it. Another thing to make profits is to exchange from one currency to another, to take advantage from the market fluctuations. In this case, you don't even need that the value improves, but you can make money through wise choices. You could sell altcoins when the value is rapdly decreasing and buy them again when the value is high again, doing what is called "trading". 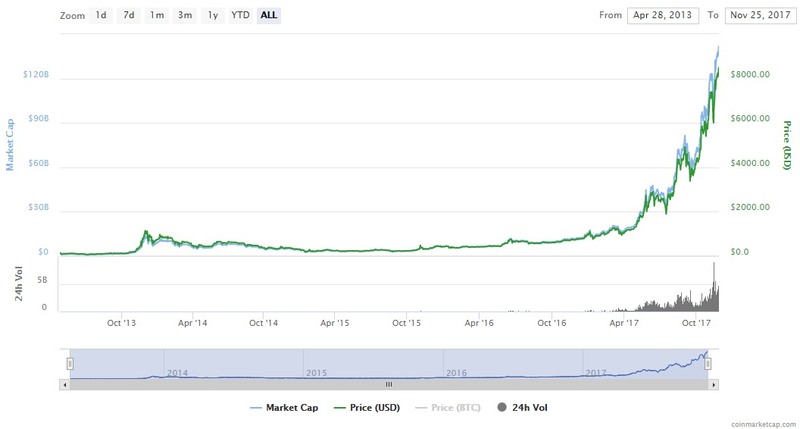 Now that the news is spreading along its huge promises, everybody is buying bitcoins or altcoins to make profits from fluctuations and trading. But that's not all. This entry was posted in Cryptocurrency, Knowledge on November 26, 2017 by admin.